A hopeless romantic for art, design, fashion and visual culture. 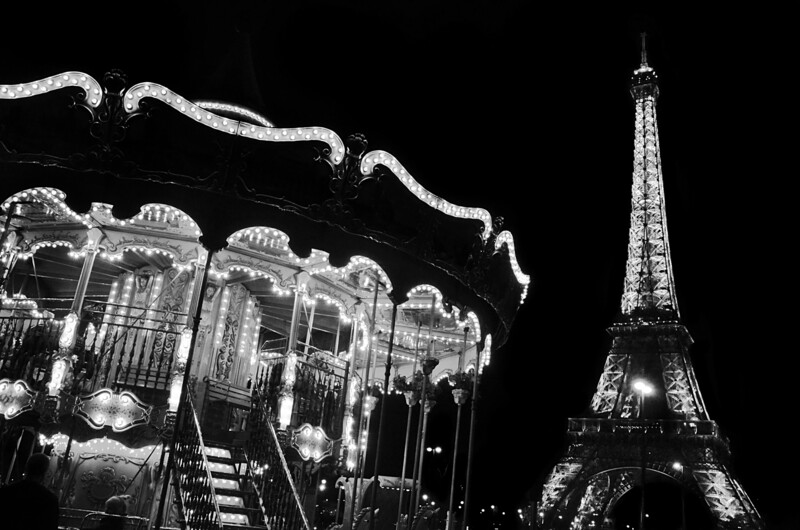 I’ve had Paris on my mind. Two serendipitous but separate events have sparked a sudden Parisian joie de vivre. It started last week with a midday Facebook drive-by. My favourite discount travel blog sounded the alarm: $286 non-stop round trips from Toronto to Paris. An obvious pricing error. Suffice it to say, this news short-circuited my wiring. Palms were sweaty. Emergency texts were sent. In true ride-or-die fashion (a title reserved for only my closest friends), it took just 12 minutes to book a springtime rendez-vous in the city of lights with one of my best friends, Meghan. Not five minutes after that, the pricing error was corrected. Thank you social media! The Facebook community later confirmed that Air Canada, in their infinite wisdom and generosity, decided to honour the rock-bottom price. YES! While I have a bit of saving to do, I am thrilled to say my next Parisian adventure is officially in the books for April 3-11. Watch out! A week before I ever thought I’d need my passport, I had just wrapped up a French mini-adventure a bit closer to home. How, you ask? A happenstance trip to Toronto’s premier purveyor of Parisian fashions, Canon-Blanc. Located just west of the intersection of Bathurst and Queen, I’d passed this place many times before – it’s been around since 2012 – but foolishly never stepped in. This effortlessly chic boutique stocks pieces that radiate the core principles of French fashion: simple elegance, quality craftsmanship and an inimitable attention to detail. 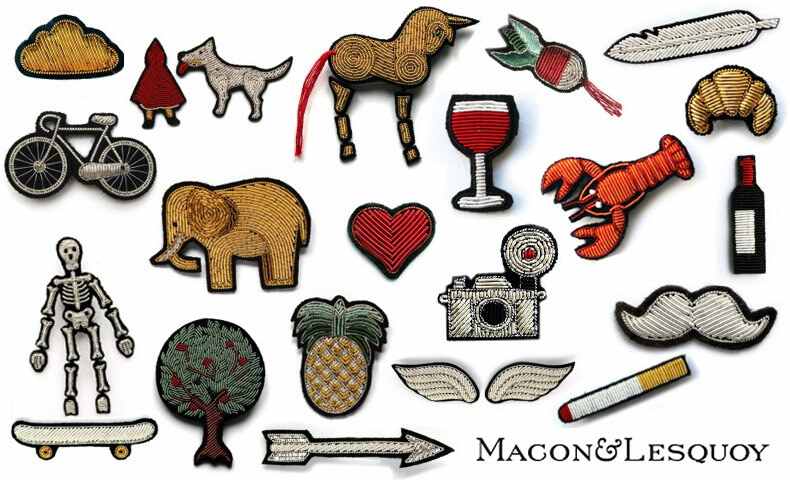 Unfortunately, my current budget ($0) does not allow for the purchase of investment pieces but luckily they do carry a bit of something for everyone in the form of Macon et Lesquoy pins, patches and accessories. Macon et Lesquoy are a French female design duo who seemingly live by the Unix Philosophy of do one thing and do it well. They took the exceptionally elegant -if staid – art of military embroidery and enhanced it with their own colourful pop-art designs. Their charming bijoux bordés range the gamut of cheeky to cheerful and never fail to please. Shop co-owner Matéo Masquelier informed me that the feel-good factor doesn’t end there. The ladies of Macon et Lesquoy also make sure their goods are ethically made (one of the operating principles of Canon-Blanc) and work with a women’s collective in Pakistan to produce these alluring art objects in a Fair Trade environment. Needless to say, I was sold. I welcomed a new pin into my life: a regal tiger in gold. Incidentally, this pin was born from a collaboration with dream Parisian stationary store, Papier Tigre. Clearly, my mind was already Paris on Paris on Paris. Should you be feeling the same, I suggest you take a trip to one of Canon Blanc’s two locations or browse from the comfort of your own living room at http://www.canon-blanc.com/. Going to Paris soon or know of I place I just shouldn’t miss? Please share your wisdom in the comments below. À bientôt! Under the weather so stayed home to do laundry. Heading up to the roof, it reminded me of doing the same at my grandmother's house in Santiago - opening a dark wood door to the outside, going through a gate to get hit hard by the sun, feeling the dry air, the stucco against my hands and a city's natural dust. It made me miss her so much. Her house has since been knocked down and it gave me deja vu to a place I'll never be again. She would have been 103 this past Saturday and left this earth at the ripe old age of 100. I can't complain but I'll never stop missing her. Grateful to feel close, if only for a minute.